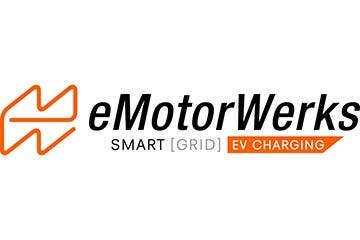 A new partnership between electric vehicle charging solution provider eMotorWerks and electric utility EDF taps into eMotorWerks’ intelligent network of chargers to enable grid-scale demand management. The core of the new solution builds a bridge between the desire of many EV drivers to cut emissions out of the picture not only at the point of use but in the electricity generation sector as well, by offering drivers the option to charge with low- or no-carbon electricity. 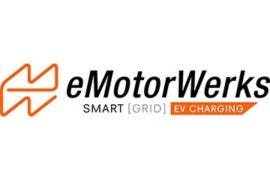 The partnership was established through EDF’s Innovation Lab in Silicon Valley, which worked with eMotorWerks to validate the concept and ultimately define a new EVSE standard for EDF built by eMotorWerks. The EVSE includes eMotorWerks’ intelligent, cloud-connected JuiceNet software that includes capability for grid-scale demand management. 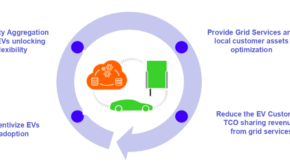 Beyond the base use case, EDF sees the connected, intelligent chargers as a platform on top of which it can develop solutions. Think about demand management like the opposite of grid-scale storage for achieving the same purpose: if a utility has the ability to scale up or down 1,000 EVs charging throughout the day at a 10 kW rate, that is a total of 10 MW of output extended over the timeframe the EVs are charging. The ability to throttle down a 10 MW load throughout the day as needed is roughly the equivalent to having a 10 MW battery that can discharge for a set number of hours depending on its total energy capacity (but without the efficiency losses of having to charge up the battery then discharge it later). This is, admittedly, oversimplified, but it should serve to illustrate the concept of what EDF and eMotorWerks hope to achieve with the partnership. The new partnership shows not only the foresight of eMotorWerks’ strong focus on building not only chargers but an intelligent control platform that offers immense value to utilities looking for more control over the massive new loads being put onto their grids. eMotorWerks’ JuiceNet was built with automated, multi-tiered control algorithms and load balancing that allow EV drivers the flexibility to charge their cars on the cleanest and least expensive energy available. On the utility side, it allows for real-time visibility of major grid parameters and control of EV charging demand. That translates to a drastically increased ability to stabilize loads, driving down the need for new grid infrastructure that would have otherwise been required. The white label partnership with EDF is the latest in a long string of agreements for eMotorWerks that also includes agreements with AeroVironment, Share&Charge, Volta, and Webasto, and the cashless payment solution provider Nayax. eMotorWerks has deployed over 22,000 smart-grid charging stations to date with its flagship JuiceBox EVSE, which was recently reduced in price to reflect the scale up of flexible electric load capacity on the JuiceNet platform and the monetization of that load via utility demand response and other grid services revenue streams.